Traveling the globe at the speed of caffeine. Welcome to Jet Planes and Coffee, my internet friends. I am coming to you live from my desk in Arizona, bubbling over with stories about my recent visits to Seattle. 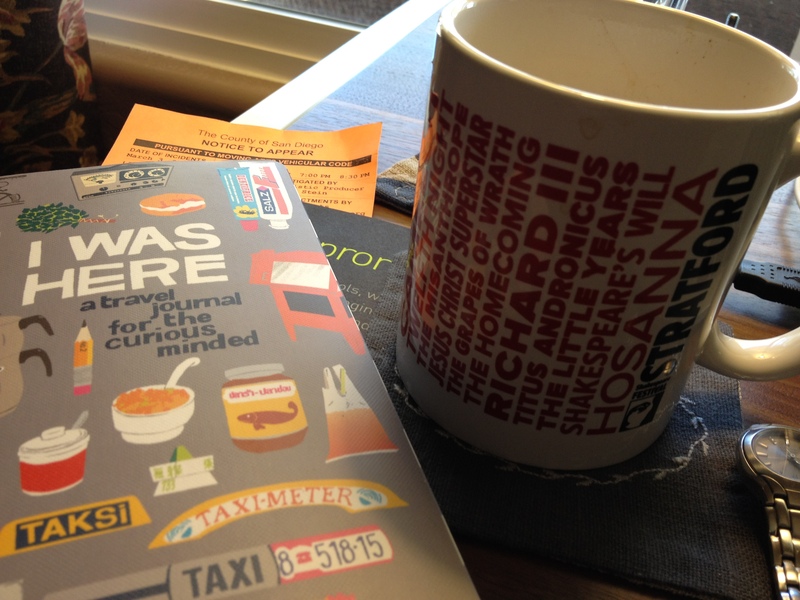 Just before sitting down to write you, though, I did what I always do when I want to share life with good friends–I grabbed a favorite mug and poured myself a good cup of joe. Coffee's ready. Desk is a little cluttered. Let's talk Seattle. It’s not Starbuck’s coffee, in case you were wondering. I can see how you might think that since I just returned from Seattle (and since you can get Starbuck’s coffee pretty much anywhere). There is a bag of Starbuck’s Tribute Blend™ sitting in the bottom of my unpacked suitcase. For now, though, I am drinking from another Washington State roaster, Grounds for Change. It’s their Bolivian Taipiplaya Limited Edition roast and, although it is a little lighter than I usually like, it’s good. Grounds for Change always has good stuff. I’ve been buying my beans from them since about 2005, when I still lived in the Seattle area. 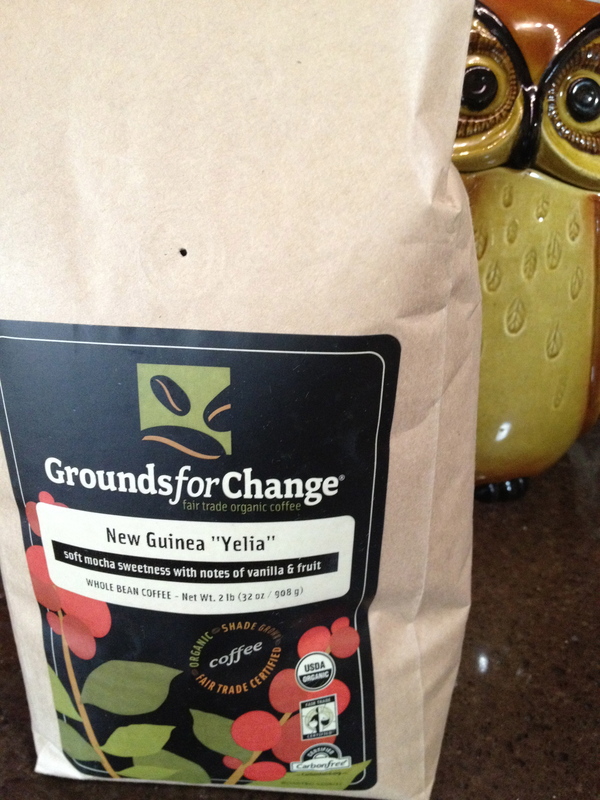 This is the next bag of coffee, not yet opened, from Grounds for Change. I always like trying different flavors from Grounds for Change. Señor Owl, the cookie jar, looks on approvingly. I could go on and on about coffee but that’s not why you’re here. You’re here, I presume, to check out what Seattle has to offer; maybe to get some tips on where to stay and what to do. Well, you’re in luck. I just came from there yesterday. Hubby and I were there from Thursday of last week to Sunday morning–about 72 hours. It was our second trip in the last seven months. I have much to share, so grab your own cup of happiness, and let’s get started. First things first: Where to stay. Both of our recent visits took us to the fabulous Hotel 1000. I cannot say enough good about this place. It has a relaxed, “old friend” feel to it that meets the warm welcome one might receive at the Four Seasons just up the road. It is not right on the sightline of the water and, therefore, is a little cheaper than the Four Seasons. 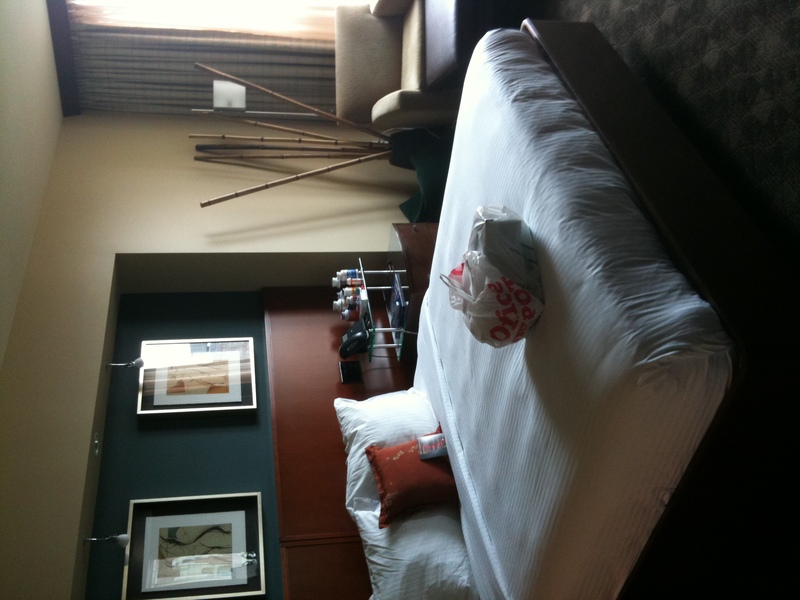 We felt it to be just as service-oriented, though, and it is located within walking distance to everything downtown. It also offers a lot of great perks, such as free wifi throughout the hotel, a cozy spa, virtual golf, full-service concierge, and electronic “Do Not Disturb” and Housekeeping notifications built into every room. Our room--a Deluxe King Water view. 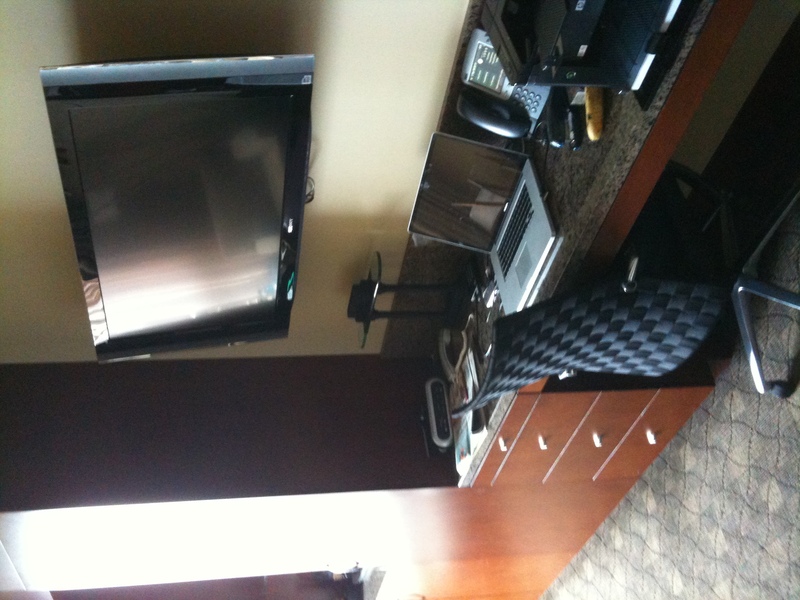 Nice desk space for the business traveler. Hubby got set up right away and very easily. 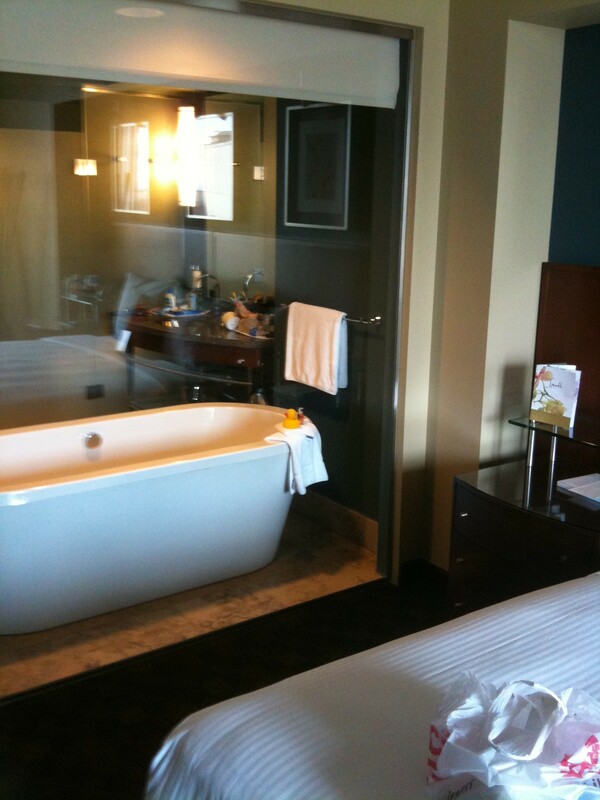 Cool bathtub, which is filled from the ceiling, is visible through a glass wall that separates the bathroom from the bedroom. For more modest individuals, there is a screen that moves up and down the wall with a flick of a switch. Another Hotel 1000 perk? They drove us to Crush Restaurant, located about two miles east of the hotel, in the Courtesy Car. If our friends hadn’t been able to drop us back at the hotel, the friendly valets from the hotel would have picked us up. Don’t get me wrong. I love the Four Seasons. I love the lobby with its rough-hewn, stacked stone lining the walls, and the sleek fireplace. We met some friends for dinner there at Art Restaurant. It is a great place and very popular. I highly recommend going, even if you only stop in to the lounge for some nibblies and a drink. That brings us to, where to eat. If you go to Art Restaurant during the summer, make sure to get a table by the window so you can watch the sun set, and the ferries go to and fro. This last time we went, it was dark by the time we got seated, so we just focused on the lovely company of our friends and the delicious food. The photo below is from our visit in August. Sunset as seen from the window at Art Restaurant in August. The thing about Art, besides the beautiful surroundings and the excellent service, is that they give you these homemade potato chips with a mouth-watering sour cream style dip. Oh, it is so good. And, I was hungry when I sat down so I ate a lot of those things. I couldn’t get enough of them, really. So…by the time the second course arrived–a gnocchi of some sort–I was full. The flavors were just too much for my satisfied tummy. I shouldn’t have eaten so many chips, but I did and, frankly, I’m not really sorry for it. They were really good. Sorry I can’t tell you more about what’s good there from my point of view. I can tell you that Hubby loved his fish–an Indian-spiced salmon–and our friends enjoyed their beef tenderloin. When we lived near Seattle, we had heard great things about another restaurant, Crush, but we never actually made it there until this last visit. Now we have a huge crush on Crush Restaurant, located just a couple of miles east of Hotel 1000 on Madison. Chef Wilson and the team there manage to create the kind of eating experience that leaves you feeling like a regular, even though it might be the first time visiting (which it was for us). The food was thoughtful and delicious. I loved every minute of my baby beet salad, minus the crispy pancetta, and the mushroom risotto. I’m vegetarian. They were very gracious to provide wonderful options throughout the meal. My favorite part of the meal, however, was dessert: salted chocolate-covered caramels. Yrrrmmmmm. If I close my eyes I can still taste the marriage of salt, chocolate, and caramel. Hubby had the same salad with the pancetta for his first course and then he had a duo of salmon and pork cheek. My description of it does not do it justice. Let me put it this way: I thought he was going to squeal with delight as he polished off his main dish. The cleverest dish, however, was our friend’s first course called “Bacon and Eggs”. It was parsnip flan with smoked Ikura roe, bourbon maple syrup & bacon crème fraiche served up in the tiniest little dish. Our friend loved every bite and grinned from ear to ear because he knew he had the most fun of all the first courses. The service was top-notch and very friendly. The surroundings were an eclectic blend of at-home charm with contemporary design. We will be back. Serious Pie is the pizza place we found to be seriously delicious, another restaurant by Seattle’s genius restauranteur, Tom Douglas. Reservations might not be available, but we had no trouble getting in on Thursday night. Things were different when we went there on a weekend back in August and had to wait. They took one of our cell numbers and called us when it was time for dinner–about 30 minutes after we arrived–so we could have walked around and shopped a little if we had wanted to. 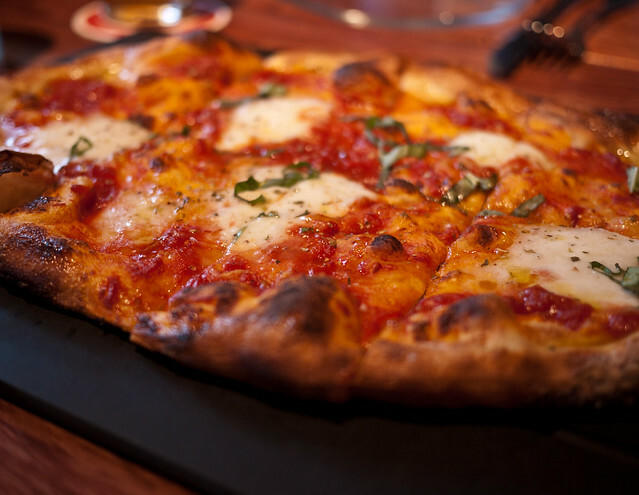 Our favorite pie is the very simple Buffalo Mozzarella, Red Sauce, and Basil. Yum, yum, and triple-yum. It has a thin crust that is charred just right–not too much to choke on smoke, but not too little to leave the dough chewy. I could eat a whole pizza by myself–and I never usually have more than two slices of pizza anywhere. Our most recent visits to Seattle took us there for business and pleasure. Having lived there for several years, the touristy places don’t really speak to us. Touristy things never really speak to me anyway (see comment above about cramped spaces). We’ve done the Space Needle a thousand times with out of town guests. It’s worth doing at least once just to cross it off your list. The Seattle Aquarium is nice, especially if you have kids. I used to love going to the Ballard Locks to see the salmon swim upstream. I also hear good things about the Experience Music Project which is located near the Space Needle, but I haven’t yet been there myself. 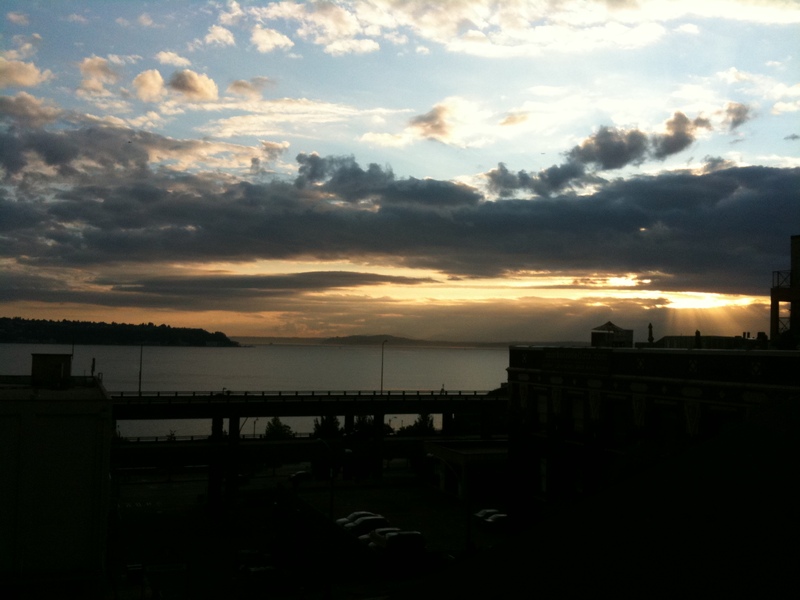 Being a major fan of the Fine Arts, I’m always eager to go to the art galleries and the Seattle Art Museum. The Seattle Symphony and Pacific Northwest Ballet are both tops in my book as well. This last couple of visits one goal we had was to get a sense for what it’s like to live downtown, so our journeys took us where our feet could go with a focus on art and nature. Last summer we were there during an “Out to Lunch” music series that seemed to take place regularly on the Harbor Steps. If I am not mistaken, a band strikes up around lunchtime and the steps themselves become a little amphitheater where people sit and listen to the music. The combination of music, sunshine, and sea air was intoxicating and I loved how it brought out the authenticity of the city. This man, in particular, delighted me beyond measure. He was out of this world wacky and completely true to himself. How could you not love him? 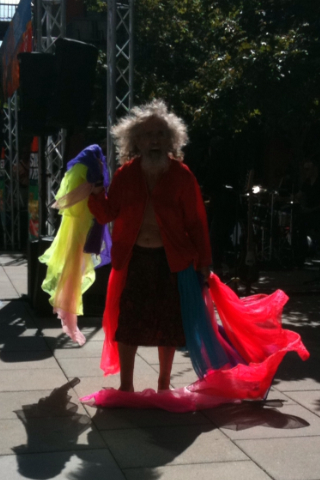 I call him the Scarf Dancer. 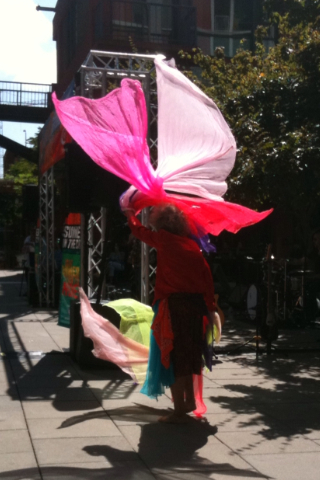 The Scarf Dancer, floating, twirling, and beaming with joy in rhythm to the music. 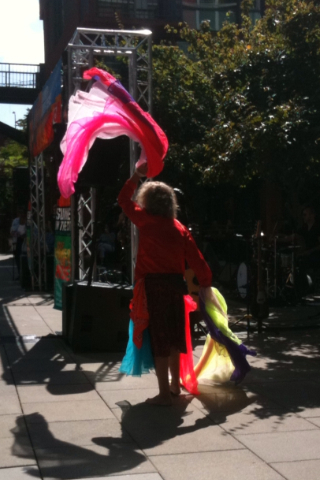 I don't know how many scarves he had, but he twirled them, held them up to the wind, or tied them around his waist. He was having a blast, and so was I. We also roamed over to the harbor itself, up to the Seattle Art Museum’s Olympic Sculpture Park. Long, long ago, we contributed some moo-lah to their campaign to get that park going and, lo and behold, they put our name on a railing along the waterfront with all the other people who donated. 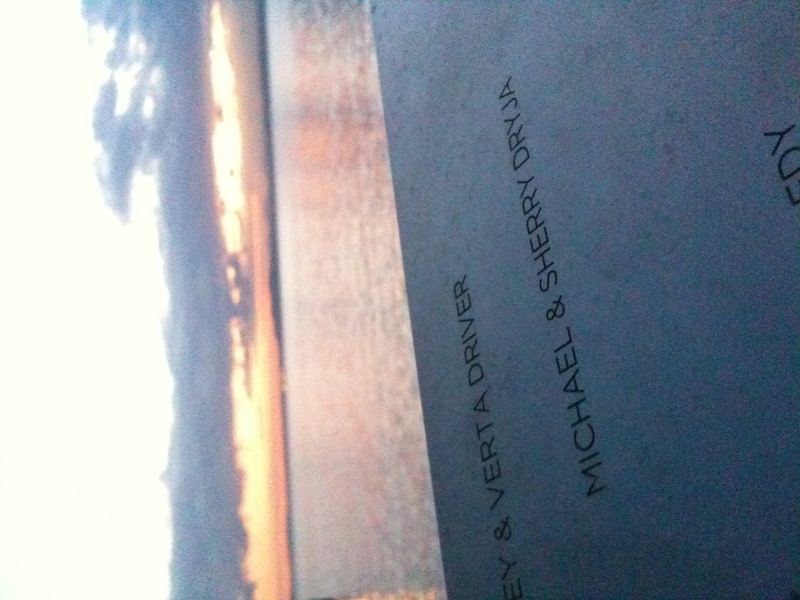 Our donation turned into a railing at the Olympic Sculpture Park. It was great to see how beautiful the park had turned out and how many people use it for their nightly strolls and jogs. (We had moved a few months before the park opened, so we never got to see it before then.) It is a very peaceful part of Seattle, with the water licking the shoreline off to one side and the city sparkling quietly on the other. 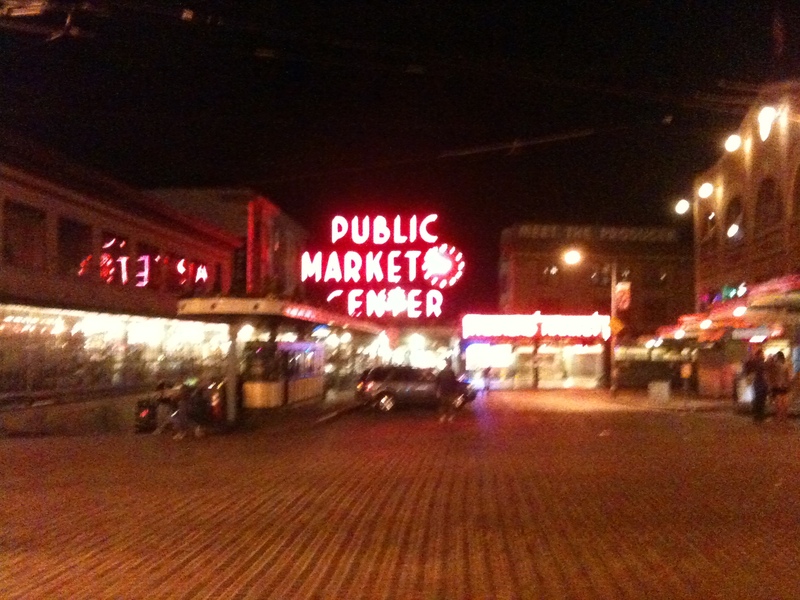 Pike Place Market is a little quieter at night, but most of the shops are closed then too. Along First Avenue are a handful of art galleries. 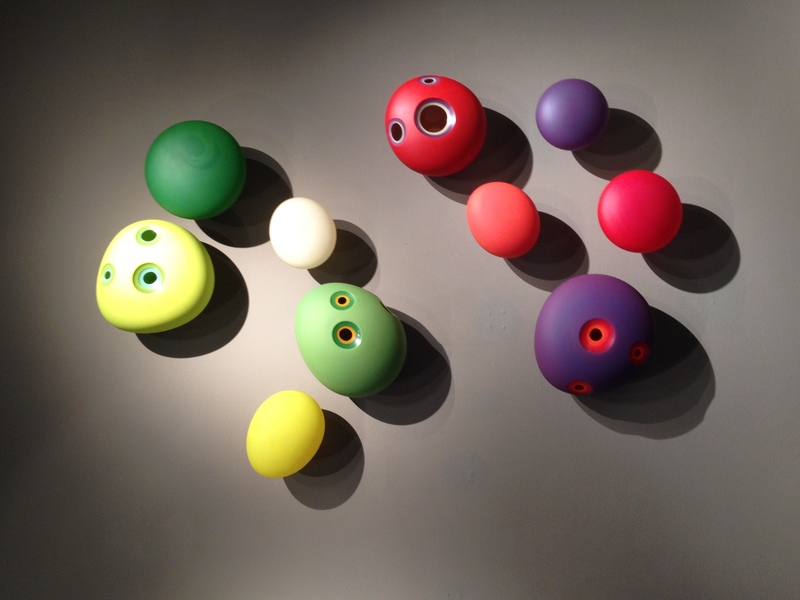 We stopped into Vetri, a gallery specializing in exhibits of glass glass artwork. We loved the Mods by Jamie Harris. 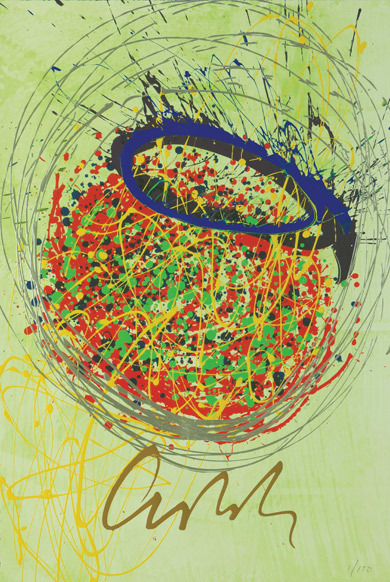 We also learned that Dale Chihuly, perhaps the most famous glass artisan of them all, creates paintings that are splattered and circled with vibrant colors. These paintings are the blueprints for what goes on to become his famous glass pieces. He has taken what he uses as a guideline for blowing glass and turned it into another work of art worth sharing. Finally, our steps took us over to the shopping district where I bought some new sunglasses. Yes. I needed sunglasses in a city known for its rain. Little known fact: sunshine happens in Seattle. It’s most known to happen in August, but it can cut through the clouds in March as well. Since I had gotten new contacts from my all-time favorite eye doctor, Dr. Mark Hamilton, who is also located in the Seattle area at Highland Vision Clinic, I needed some sunglasses that weren’t prescription or clip-ons. Nordstrom helped me out with some new Kate Spade shades. And ten minutes later it started raining again. So, there ya go. My coffee mug is empty now. How about yours? Talking about Seattle makes me miss it again and I’ve only just been home for a little over 24 hours. Fortunately, Hubby is making arrangements for us to stay for a little longer this fall in a vacation rental in a neighborhood of Seattle called Belltown. I can’t wait.